Rhode Island hosts a plethora of talented musicians all year long and is home to several on-the-rise underground groups that you should keep an eye on. From intimate artsy spaces to grand theaters, Rhode Island can satisfy just about anyone’s taste. Find a refreshing variety of places to see great live music at these 10 excellent venues in the Ocean State. Lupo’s is Providence’s premiere music venue, bringing in pop, rock, and hip hop acts. The space is intimate but big enough to get loud and fun, too. Fête is best known by those who frequent Providence’s indie scene, whether that be rap, rock, or DJs. It also features two stages, which artists may alternate between depending upon the event. The onsite bistro is a perfect stop before a show. Located in the Hope Artiste Village, this is a great venue for dancing and rock groups alike. Surrounded by hip restaurants, this venue has an “upscale renovated warehouse” feel that you’ll love. Great music in Providence at a fair price! The Spot was originally located on Thayer Street before they took it underground. Not only does The Spot host music—they’re also a great place for comedy and open mic nights. This spot is a restaurant and craft beer bar first, and a music venue second, but they do both equally well! Visitors love this location’s lively ambiance and the great local beers. The Columbus Theatre, located in Federal Hill, was recently renovated and saved from collapse, but it’s still got that old-time feel. You’ll feel transported to another time when you take a seat on the red velvet chairs and peer up at the stage. The Columbus Theatre has an amazing community surrounding it— become a part of it the moment you walk into a show! The Dunkin Donuts Center is the place to go to catch big acts, when Providence has them. Every year, WBRU hosts their Spring Fling bash at the concert venue, which—while smaller than an arena—still gives it that lively, buzzing feeling. The Newport Blues Cafe is always buzzing with energy. It’s a great local spot to meet people, dance, and have some fun times over a few beers! AS220 prides itself on being an accessible space for new bands to play. And it’s not just bands you’ll find there—you’ll also see poetry slams on Thursdays and can take a fitness class there during the weekdays. 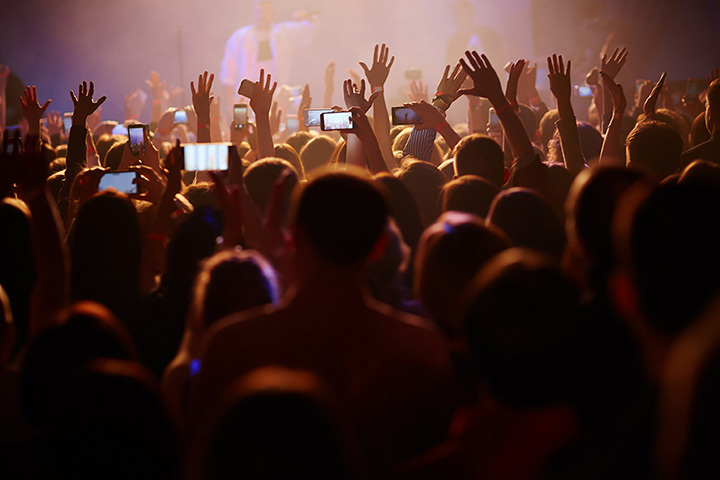 Check out their weekend shows, too, even though it’s branded as a “hipster” audience, the crowd is always approachable and engaged! This old firehouse has been renovated and turned into artists’ studios, with a bar and live music venue, too! The beers are reasonably-priced, tasty, and the sound system won’t disappoint audiophiles. You might even get to hang out with the band at the bar after their show. View more Rhode Island Live Music Venues.